A new version 3.0 update has been released for Guilt Battle Arena on Nintendo Switch today. The free update adds six new game modes for solo play and local multiplayer. 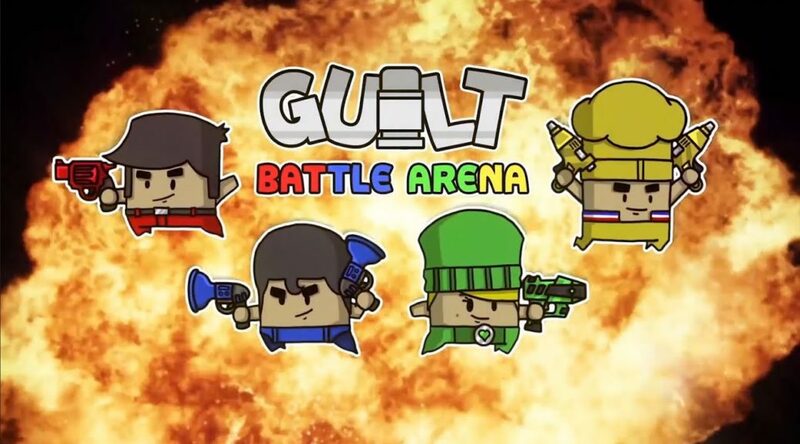 Guilt Battle Arena returns with six new game modes in version 3.0, bringing the total to 13 and offering twice the content for solo play and local multiplayer. Fight through a gauntlet in Cup mode – alone or with three friends – and try to unlock all the medals. Add insult to injury in Heart Stealer mode by taking enemies’ hearts to heal when they’re defeated. Battle alongside a pet in Alien Pet mode, where one character’s gun is swapped with a damage-dealing creature. Each match in Guilt Battle Arena brings even more shenanigans thanks to four new modifiers – Short Range, Low Gravity, Fast Bullet, and Shoot Behind – bringing the total to 10! Combine multiple modifiers to shake up matches and add flair to kills. Use Low Gravity with Trampoline to simulate fighting in space! Take customization even further with up to 79 insanely adorable costumes for the cartoonish characters. Those who want to take a breather from competition can set out to defeat the Dreadful Judge and his minions by unlocking levels in Horde mode. Up to two players battle increasingly chaotic streams of enemies to beat your high score and earn bragging rights.